Jo's Loaves: Indian Summer?? That calls for Chilli Bread! Indian Summer?? That calls for Chilli Bread! Such glorious weather for the time of year! And with it being half term, I'm going to try and make the most of it before I enter total meltdown at the weekend, where I am doing a farmers market AND a food Festival on Sunday. I think I've just about worked out when I'm going to sleep, but part of it might involve a pallyass on the bakery floor. More on that later, as I wanted to tell you about a little confession I had from a fellow baker, who'd acquired some jalapeno and 3-cheese bread from Tesco. (Hmm, my favourite fake bread store). I've been threatening to experiment with chillis for a long time, ever since a chance posting next to a chilli stall at a market in Bedford earlier this year. So I took her nudge as a call to arms and got experimenting. After a couple goes (mainly to turn up the heat) my Red Chilli and Cheddar loaves made their official debut at Hexton farmer's market a couple of weeks ago and I have to say, I am rather proud of the result and I hope it will be as popular this week as it was at Hexton. So what's happening this week?? Well, it's a Halloween special on Friday at St Mary's Church in Pirton and all the stall holders have been asked to ghoul up their stalls and themselves. I'll not be letting the side down and if any mini witches or ghosties care to visit my stall, they can be assured of a little chocolate treat. 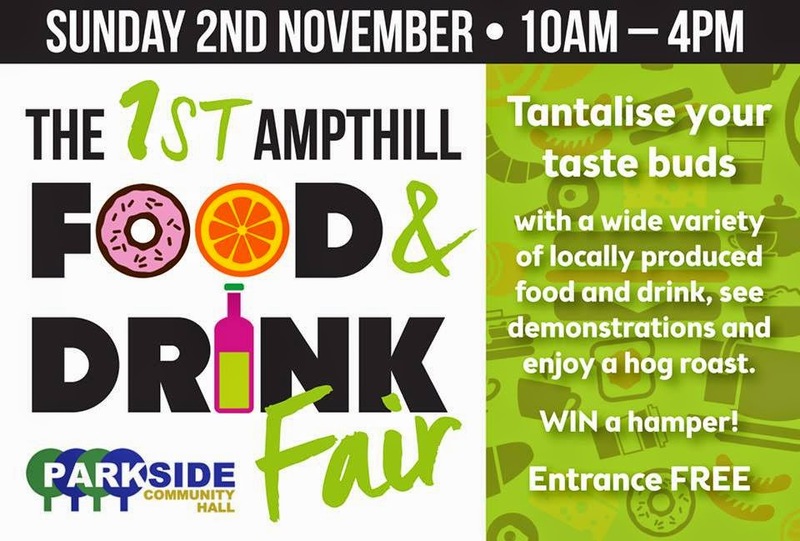 I get an opportunity to sleep on Friday night, but then come Saturday, assuming I've calculated my sourdough starters correctly, it's straight down the bakery to prepare dough for the first Ampthill Food Festival on Sunday.